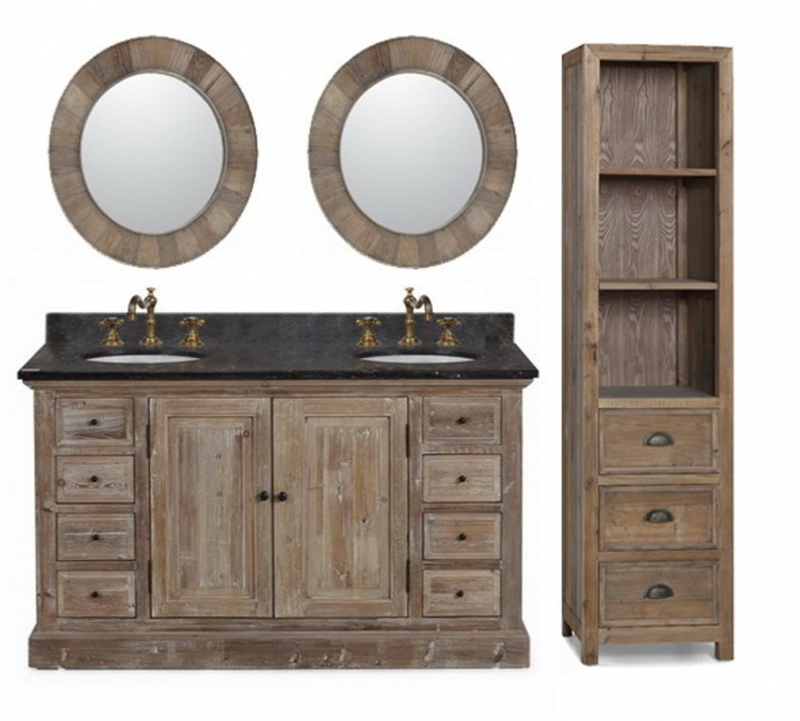 The wonderful rustic style of this double sink vanity will be a great addition to the bathroom. 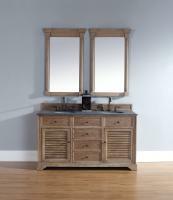 The oak wood is made even more beautiful by the light gray over wash that enhances the natural wood grain high lights. 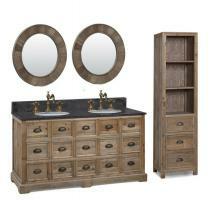 This light tone is accented very well by the dark bronze finish of the hardware pulls. At five foot in length, there is great storage space available with this piece. A double door cabinet in the center has the bank of drawers on each end, with three drawers in each one. This brings great functionality to the bathroom to keep it neat and organized which is always welcome. The dark black marble counter top is a wonderful touch atop the beauty of this piece. It is well complemented by the white ceramic under mount sink bowls. The clean lines of the traditional styling will look great through many years of changes in dÈcor. 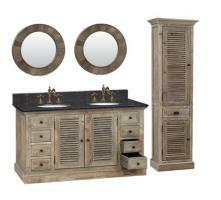 Material: This bath vanity is constructed of recycled Firwood. Firwood comes from a tree that is recommended for construction use indoors only as it has no decay or insect resistance after logging. All hardwoods have been Kiln dried to ensure a stable product that will not expand, contract, or warp.